Planning ahead is always a good thing, especially for teachers. Given the role to help mold and educate the youth is not something that everyone can execute accordingly. This is one of the reasons why teachers are required to make a plan that will help them achieve a fruitful encounter with their students. 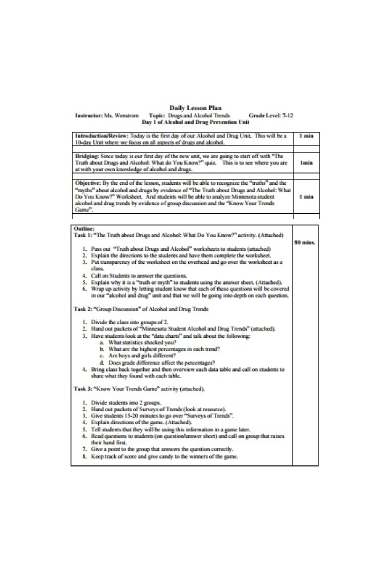 Topics, activities, and objectives for each class are typically reflected in a daily lesson plan prepared by the teacher. This will serve as a road map to ensure that the needs of students are successfully met. Instructors are required to have a game plan as to what they wish to teach their students during every class. 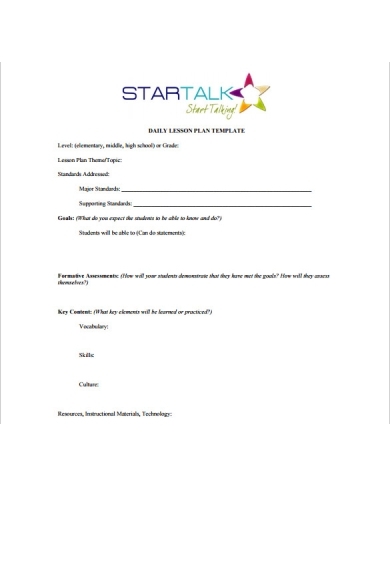 Given the number of sessions required to complete a course, creating a lesson plan with the help of a template will allow you to come to class fully prepared. After all, avoiding last-minute meeting agendas is key to achieving a productive lifestyle. It can be frustrating to come to class without an idea of what to expect, but it’s even worse when you’re the one responsible for managing what the students learn from each session. 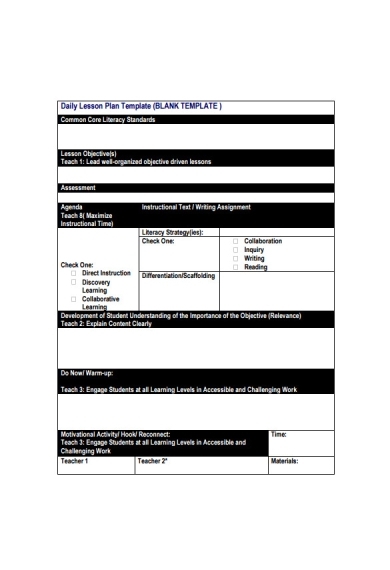 Thus, having a blank daily lesson plan ready is highly advised to save on time and energy. 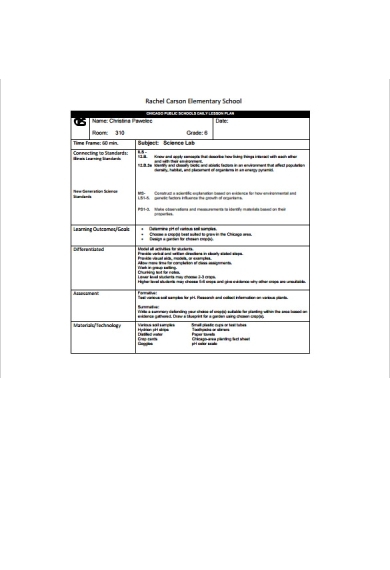 Simply fill out the template like a form with the information needed for you to run a class as successfully as possible. This also keeps your records consistent with one another for easy tracking. Imagine how hectic it is to teach a class of high school students. Subjects have become more complicated than before, forcing you to design learning methods that can expand their knowledge and sharpen their skills. As counselors for the coming-of-age group, teachers are also held responsible for a student’s understanding of the real world. The topic of the given example tackles the area of drugs and alcohol, which is a sensitive yet important subject to expound early on in a teenager’s life. Many children choose to be homeschooled for different reasons. Since the learning abilities of students tend to vary in terms of pace, daily lesson plans for homeschoolers are designed to cater to the specific needs of an individual. This will likely vary from student to student, so tutors need to be very particular when making a lesson plan. Otherwise, the student may fall far behind schedule and affect the entire flow of the program. A lot of people like to enroll in summer programs to make the most of their free time. Schools and organizations that offer these programs usually set policies and dates to ensure that objectives are met and the course is completed on time. Since sessions only run for a few hours in a day, lesson plans are made short and specific. This will make it easy for instructors to conduct classes that focus on a particular set of goals. Workshops are designed to enhance a person’s skills in a specific field. 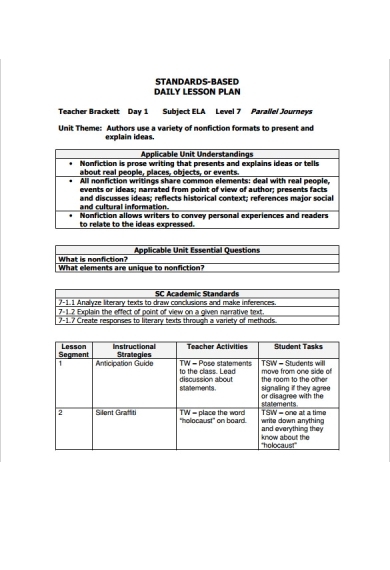 The example above features a daily lesson plan made for a writer’s workshop. 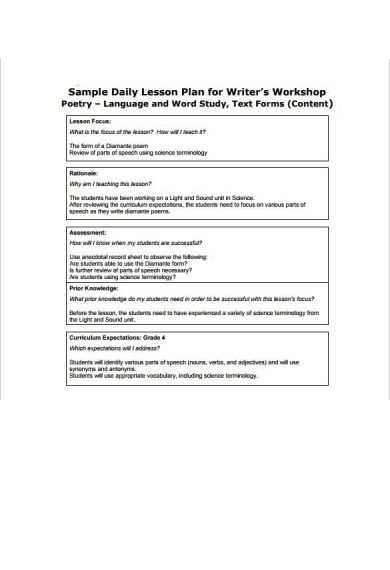 It covers the topic of poetry, the significance of such, and the means of assessing whether students have understood the lesson and are able to apply it to their works. This will help instructors measure the success of each class and evaluate which aspects require further improvement. Students enrolled in the workshop may come from different age groups and backgrounds, which is a huge factor to consider when developing activities for the course. Elementary is those awkward years between kindergarten and high school where students begin to experience a gradual shift in their academic programs and learning activities. This significant change in a student’s life is something that teachers need to adjust to in order to contribute to the child’s growth and development. 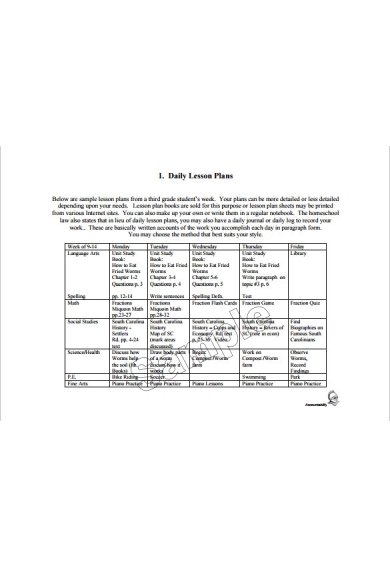 Shown above is a daily lesson plan for elementary students using the science lab for their class. Such lessons plans are objective-oriented and must contain detailed descriptions that explain the importance of the activity to the study. Daily lesson plans designed for kindergarten students are usually made simple, as teachers must work toward promoting the child’s cognitive development. Although these are more advanced compared to a lesson plan made for infants, the learning capacity of the majority must still be taken into account to assist those who function at a slower pace. Fortunately, kindergarten lesson plans are typically structured the same way as the other types. No matter what state or district you are in, teachers are required to write lesson plans that reflect the curriculum followed by the school. 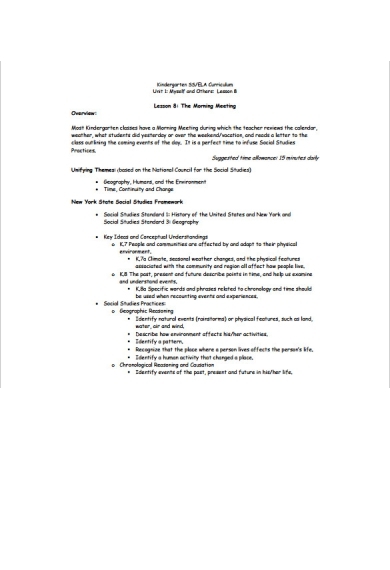 As the name implies, a standards-based daily lesson plan must meet the academic standards of both the institution and the state or district. A certain format is usually applied to make sure that teachers are able to follow instructions as needed. This will also make it easier for teachers to construct the lesson plan and evaluate results. 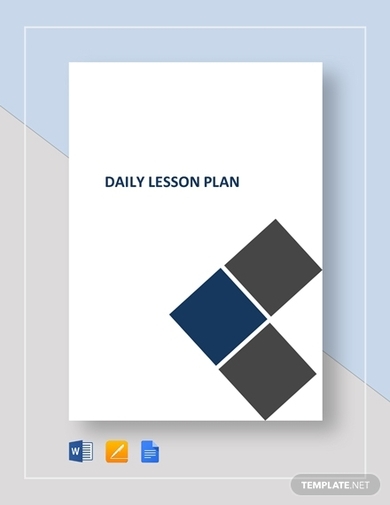 Daily lesson plans are often prepared by teachers to help them decide on topics and enrichment activities to conduct in class. 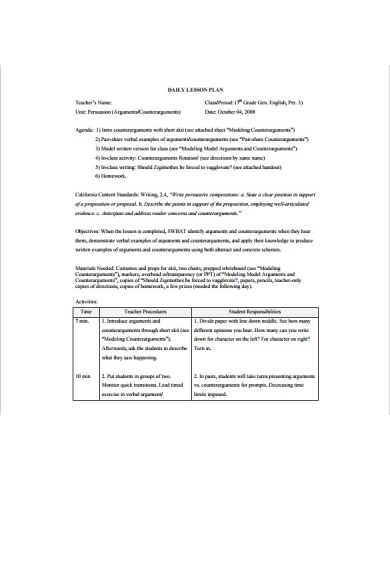 The agenda for each meeting is clearly depicted in the document for the school’s administration to assess. Similar to the example given, a lesson schedule is sometimes included for a more detailed breakdown of each session. Keep in mind that the lesson plan should revolve around the mission and vision that the institution has for its students. Thus, it’s important to add activities to the plan that are centered toward your goal.